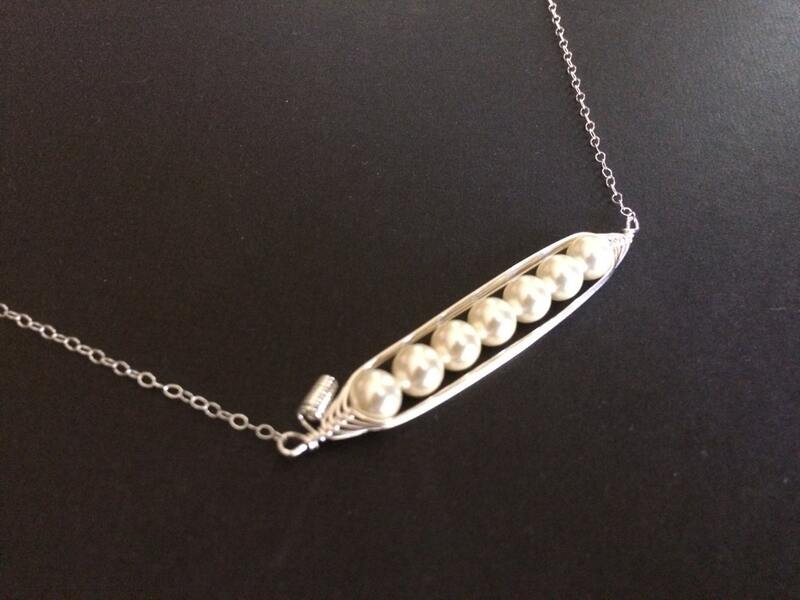 Delicate Pea Pod Bar Necklace is perfect for Mom, Grandma, Bridesmaids, and Best Friends! 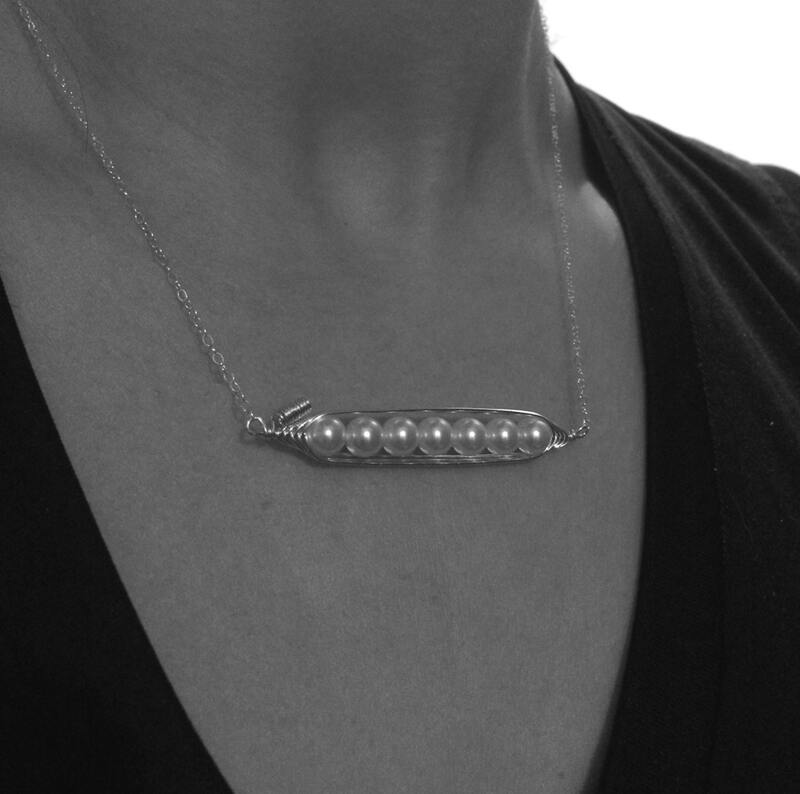 *The Pea Pod length will be added to the chain length that you choose. These sweet little peas are all nestled in their "petite pod", and look as though they grew right on the vine. 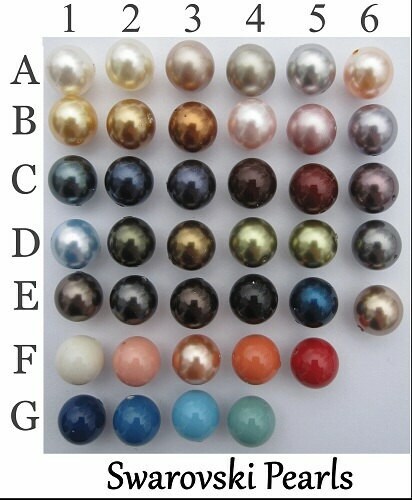 Perfect for a loved one, a new mom, a sister, or a best friend! This lovely petite design is sure to receive some notice! 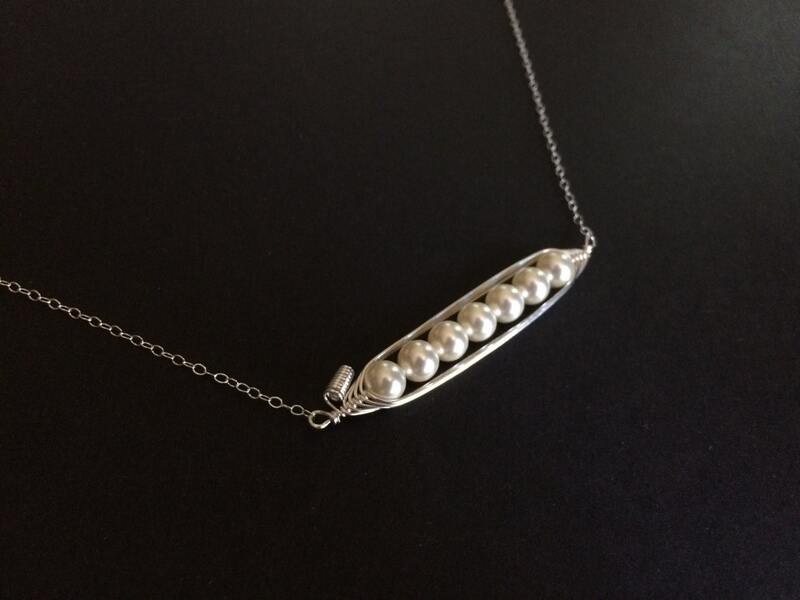 Beautiful, luminous beads or swarovski pearls are delicately woven into a pea pod of sterling silver wire, that is formed in the "bar style", with both the top and bottom of your pod completing the circle of your chain. The shape perfectly imitates natures model, including a small twist of the springy vine. 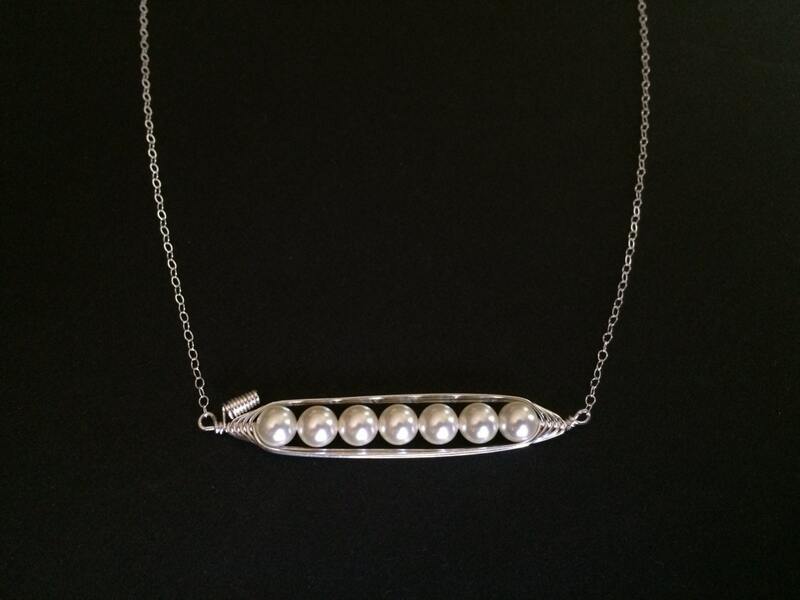 This beautiful necklace is made with sterling silver and swarovski pearls, and is packaged perfectly for gift giving.